Eps51 is an internatio­nally active graphic design studio develo­ping visual concepts with a strong focus on typography and bilingual design. 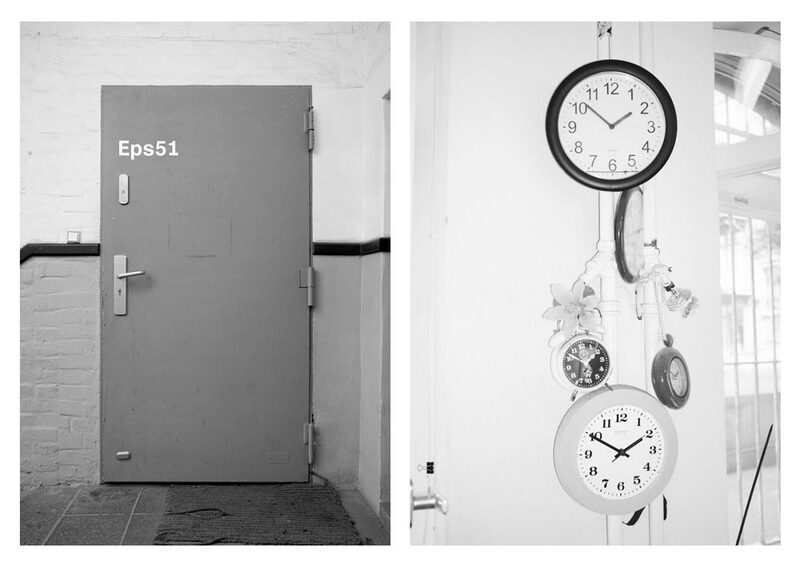 After having lived and worked in Cairo, London, Brighton and Paris, Ben Wittner and Sascha Thoma founded Eps51 in Berlin in 2008. We have worked on numerous intercultural proj­ects over the past years, regularly take part in exhibitions, give lectures and hold workshops. Earnings per share, a stock market concept. Encapsulated PostScript, a graphics file format. Electric Power Steering, a type of power steering system used in cars. Extrapyramidal symptoms, side effects caused by antipsychotic drugs. Electronic Payment Services, the largest electronic payment system in Hong Kong, Macau & Shenzhen. End Point Security, a computer security concept in which each device is responsible for its own security. Extracellular Polymeric Substance, sticky organic matter produced by microorganisms. Sandinista Popular Army (Ejército Popular Sandinista) of Sandinista-era Nicaragua. Eps, Pas-de-Calais, a commune of the Pas-de-Calais département in northern France. The Saros number of the solar eclipse series which began on -1407 September 2 and ended on +108 February 29. The duration of Saros series 51 was 1514.5 years, and it contained 85 solar eclipses. The Saros number of the lunar eclipse series which began on -1105 June 13 and ended on 211 August 12. The duration of Saros series 51 was 1316.2 years, and it contained 74 lunar eclipses. The number of the fire station and rescue engine in the TV series Emergency! “Paul is Live” album (1993): Paul McCartney’s cover shot in front of London’s Abbey Road Studios. A parody of the original Abbey Road. Paul, then 51, is wearing shoes, and the Volkswagen bears a license plate that reads “51 IS” .